Twenty-eight years after the first Farm Aid concert in 1985, this inspirational day of music and praise for the American family farm will be taking place on September 21, 2013 in historic Saratoga Springs in upstate New York at the Saratoga Performing Arts Center (SPAC) on the grounds of the Saratoga Spa State Park, a National Historic Landmark with its not-to-be missed Geyser waterfall and mineral springs. Well-loved by residents of New York State’s Capital Region, The Friends of Saratoga Spa State Park actively support special projects at the 2,200 acre park. 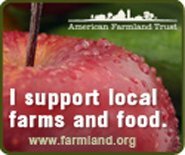 Farm Aid has raised more than $43 million to strengthen the family farm system of agriculture and keep farm families on their land since its beginnings nearly 30 years ago. With all “fixed seat tickets” selling out in under 11 minutes (less that a week later, 20,000 general admission lawn tickets also sold out), the 2013 concert in Saratoga Springs will carry on the 28 year tradition of celebrating the family farm system in proud and sure-to-be successful fashion. The famous old spa town will welcome the 2013 concert lineup of legendary Willie Nelson, Neil Young, John Mellencamp, Dave Matthews and Jack Johnson. Also to be featured at SPAC (one of the oldest amphitheaters in the U.S. which opened in 1966 and was the site of a famous concert by The Doors in 1968 and 10 sold-out performances of the Dave Matthew Band) are Amos Lee, Kacey Musgraves, Toad the Wet Sprocket, Lukas Nelson & Promise of the Real, Bahamas, JD & The Straight Shot, Carlene Carter and Pegi Young & The Survivors. The performers, who all donate their time to the longest running benefit concert series in America, deserve special praise. The 2013 concert in upstate New York is the second Farm Aid concert to be held in the state of New York. The 2007 concert took place at Randall’s Island in New York City. The first Farm Aid concert in 1985 was in Champaign, Illinois at the University of Illinois’ Memorial Stadium before a crowd of 80,000 people. Performers included Willie Nelson, John Mellencamp, Bob Dylan, Billy Joel, B.B. King, Johnny Cash, Bonny Raitt, Tom Petty & the Heart Breakers and Roy Orbison. The Wikipedia article on Farm Aid lists all of the concert venues and performers in Farm Aid’s illustrious history.